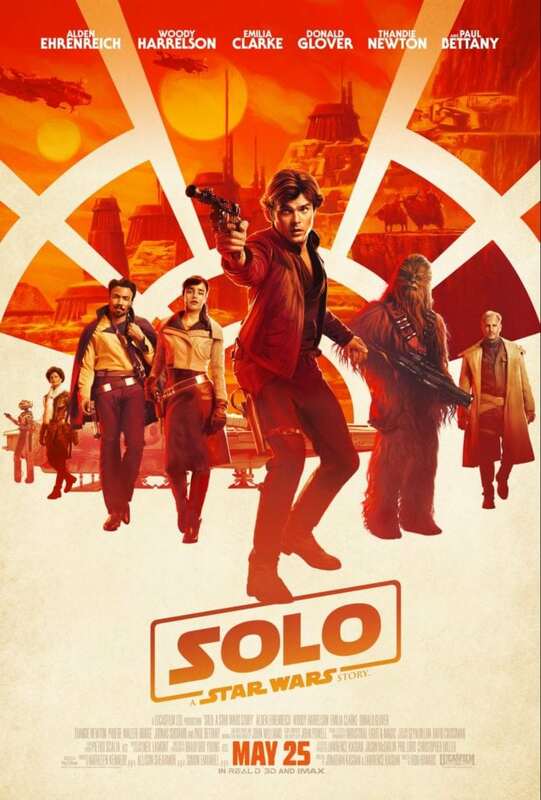 SOLO: A STAR WARS STORY from LUCASFILM Ltd is the backstory of Han Solo of the original Star Wars movies. Directed by Ron Howard and with a wonderful and diverse cast of actors, this movie does not disappoint. Available to view in several formats, we saw it in IMAX 2D. Releasing on the 41st anniversary of Star Wars: Episode IV–A New Hope, the significance will not be lost on the fandom of Star Wars aficionados. As with all Ron Howard films, there’s a requisite cameo of his brother. Rated PG13, it’s suitable for most ages. The story begins with a young Han on the run with his girlfriend Qi’ra after a deal gone bad and with a stolen vial of coaxium to use as leverage to buy their way off the planet of Corellia. He gives her his lucky dice, but unfortunately, they’re separated at the gate. Solo vows to come back for her. He makes a hasty decision to join the Empire to become a pilot, and the recruiter gives him the name Solo. The movie forwards a few years in the future where we learn he became a pilot and dreams of owning a ship and returning to Corellia for Qi’ra. Already a drop out of the Empire military and managing to escape a mud pit where he met Chewbacca, he aligns with Tobias Beckett to steal coaxium for Crimson Dawn. This leads to a thrilling chase of double-dealing, thieving, and a reunion of sorts with Qi’ra—she returns his dice to him–as well as meeting Lando Calrissian in a game of Sabacc. We see Han Solo pilot the Millennium Falcon throughout much of the film and eventually win the ship late in the movie in the quest for coaxium. A fast-paced movie with never-ending excitement, so many answers about Han Solo’s past are answered, though he’s still a man of mystery. He fell in love with ships because his father built them on an assembly line. Always a loner, he’s still full of the charismatic charm combined with sarcasm and being quick on his feet that we know and love: smuggler, warrior, and all with a bit of swagger. Never one to back down from a fight to get to the goal, he’s a survivor. While he comes off as a bad boy, he’s a good guy at heart. The character is true to the Han Solo in later movies, and it feels genuine and natural to see him as a young man with dreams and the drive to survive. The story is respectful to the history of the Star Wars franchise and never misses a beat with keeping the audience entertained and on the edge of the seat with the wonder of what will come next. There’s not a lot of the Empire and the Resistance in the story, but it’s still a tale of good versus evil. A few surprises here and there keeps one guessing as the plot twists unexpectedly. It’s a fabulous action-adventure movie and will stand up as a great film. When the traditional Star Wars theme is introduced in the film, you know it’s time for Han Solo to shine. 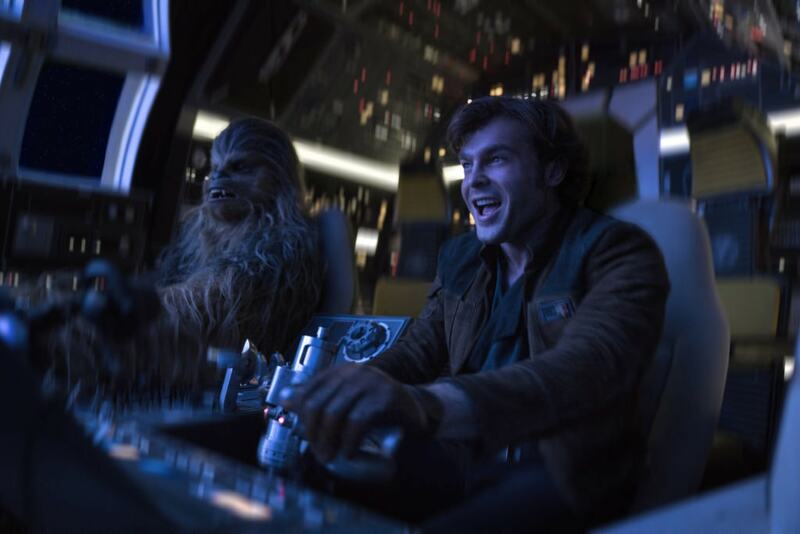 SOLO: A STAR WARS STORY will keep you captivated from beginning to end. SOLO: A STAR WARS STORY opens in theaters everywhere on May 25th, 2018! Come back and leave a comment sharing what YOU think about the movie after you watch it! Fun movie! They really captured the adventurous spirit and I enjoyed getting some history behind Han. Definitely a few teasers for upcoming movies too!